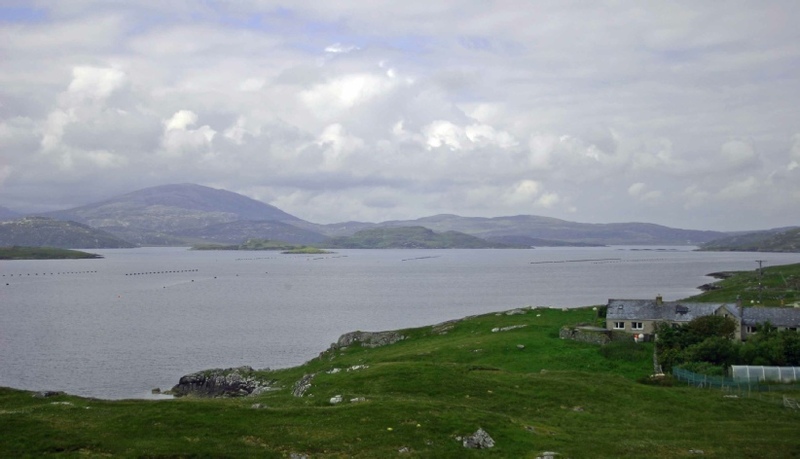 No 5 Hacklete is located on the Island of Great Bernera and offers a perfect retreat for a family holiday. The holiday cottage is on a croft with ¾ of an acre of private fenced gardens that overlooks Loch Roag in an idealic setting. The property is surrounded by crofting land. It is a self catering cottage capable of accommodating five people in one double bedroom, one twin bedroom and a single bed room. The cottage is privately owned and operated with the owners living on site in the adjacent house. The owners have been welcoming visitors for self catering holidays for over 30 years. The friendly service and stunning views make for a relaxing but interesting holiday. View from the hill above the croft showing the view down Loch Roag with the holiday cottage on the right.